As seconds turn to minutes, minutes turn to hours and hours turn to days, so is Mobile Technology market, and to stay in touch with these protruding technologies we need the best smart-phone with all modern features. To this thought, i have decided to make a list of the best smart phones you can proudly bank your money on this 2016, I also listed along with it, the price, specifications and features. The listed smart phones are easily available on Konga, Jumia and other popular eMalls. Samsung Galaxy S7 is the successor model to the Samsung Galaxy S6. The phone runs on 2.2 GHz Quad Core Cortex A57 & 1.8 GHz Quad Core Cortex A53 Processor and Android 6.0 Marshmallow. The Screen is 5.5 inches capacitive touchscreen with 2560 x 1440 pixels resolution. Samsung Galaxy S7 has 16 MP rear camera and 5 MP front camera. Connectivity options in Samsung Galaxy S7 include Bluetooth v4.1, microUSB v2.0, Wi-Fi 802.11 a/b/g/n/ac, Dual Band, Wi-Fi Direct, DLNA, Wi-Fi Hotspot, 3G via HSDPA 42 Mbps, HSUPA 5.76 Mbps and 4G via LTE. A-GPS, GLONASS, Beidou, NFC, Infrared Support options are also available in the phone. BlackBerry Porsche Design P9982 is the latest luxury smartphone from Blackberry. 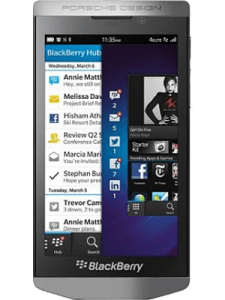 The phone runs on Blackberry 10 OS and 1.5GHz Dual-core Processor. The Screen is 4.2 inches HD Capacitive Touchscreen with 1280 x 720 pixels. The Phone has 8 MP rear camera and 2 MP front camera for video calls. The RAM is 2GB, 64GB in-built storage, 64GB microSD slot. Bluetooth v4.0 with A2DP, ANT+, microUSB v2.0, Wi-Fi 802.11 b/g/n, Wi-Fi Direct, DLNA, Wi-Fi hotspot, 3G via HSDPA 21 Mbps, HSUPA 5.76 Mbps, NFC, A-GPS and GLONASS. 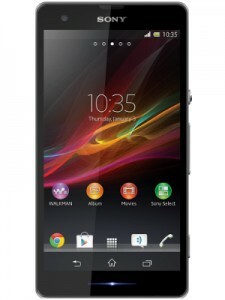 Sony Xperia Z One comes with better camera features. The device runs on Android OS v4.2 Jelly Bean and 2.2 GHz Quad-core Processor. The Screen is 5 inches with capacitive touchscreen and 1920 x 1080 pixels. The Device has rear 20.7 MP camera and 2 MP front camera. The RAM is 2GB, 16GB Internal storage, 64GB microSD Card slot. Bluetooth v4.0 with A2DP, microUSB v2.0, Wi-Fi 802.11 b/g/n, Wi-Fi hotspot, DLNA, Wi-Fi Direct, 3G via HSDPA 42 Mbps, HSUPA 5.76 Mbps. 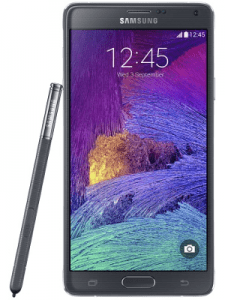 Samsung Galaxy Note 4 is a high-end 4G Android KitKat Phablet from Samsung. The Device runs on Android OS v4.4.4 Kitkat and 2.7 GHz Quad Core Krait 450 Processor. The Screen is 5.7 inches with capacitive touchscreen and 2560 x 1440 resolution. The phablet has 16 MP rear and 3.7 MP front camera. Samsung Galaxy Note 4 comes with 3GB RAM, 32GB for internal storage and microSD card upto 128GB for external Storage. Bluetooth v4.1, microUSB v3.0, Wi-Fi 802.11 a/b/g/n/ac, Dual Band, Wi-Fi Direct, DLNA, Wi-Fi Hotspot, 3G via HSDPA 42 Mbps, HSUPA 5.76 Mbps, 4G via LTE, With A-GPS Support and GLONASS, NFC option are available in Phablet. 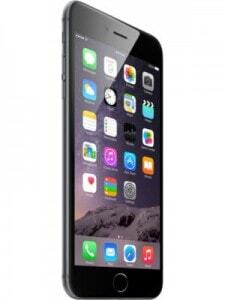 iphone 6 plus also comes in 64GB variant with a higher price having the same features. The Device runs on iOS 8 OS and 1.4 GHz Dual Core Cyclone v8 Processor. The Screen is 5.5 inches with capacitive touchscreen and 1920 x 1080 resolution pixels. The Phone has 8 MP rear and 1.2 MP front Camera. iphone 6 plus comes with 1GB RAM, 64GB internal storage. Bluetooth v4.0 With A2DP, LE, microUSB v2.0, Wi-Fi 802.11 a/b/g/n/ac, Dual Band, Wi-Fi Hotspot, 3G via HSDPA 42 Mbps, HSUPA 5.76 Mbps, 4G via LTE, Cat4, 150 Mbps DL, 50 Mbps UL, A-GPS, GLONASS options are available in phone. 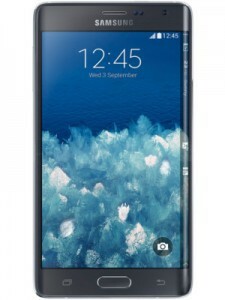 Samsung Galaxy Note Edge is a 4G Octa-Core Android KitKat Phablet from Samsung. The Device runs on Android v4.4.4 KitKat and 2.6 GHz Octa Core Cortex A57 Processor. The Screen is 5.6 inches with capacitive touchscreen and 2560 x 1600 resolution pixels. Samsung Galaxy Note Edge comes with 3GB RAM, 32GB internal storage and microSD card upto 128GB for external storage. Bluetooth v4.0 With A2DP, EDR, LE, microUSB v2.0, Wi-Fi 802.11 a/b/g/n/ac, Dual Band, Wi-Fi Direct, DLNA, Wi-Fi Hotspot, 3G via HSDPA 42.2 Mbps, HSUPA 5.76 Mbps, 4G via 50 Mbps UL, 300 Mbps, with A-GPS, GLONASS options are available in phablet. 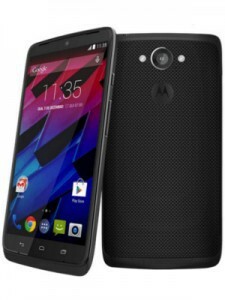 Motorola Droid Turbo is a high-end QHD smartphone from Motorola. The Phone runs on Android v4.4.4 KitKat and Quad-core 2.7 GHz Processor. The Screen is 5.2 inches capacitive touchscreen and the resolution is 2560 x 1440 pixels. Motorola Droid Turbo comes with 21 MP rear camera and front camera is 2 MP. The phone is available with 3GB RAM and 32GB internal storage. Bluetooth 4.0, microUSB v2.0, Wi-Fi 802.11 a/b/g/n/ac, NFC, 3G via HSDPA, HSUPA and 4G via LTE options are available in the phone. 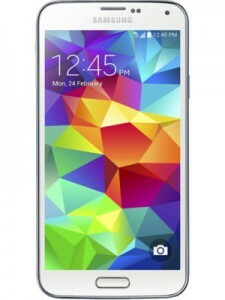 Samsung Galaxy S5 4G is a 4G Android KitKat Smartphone from Samsung. The Device runs on Android v4.4.2 KitKat and 2.5 GHz Quad Core Krait 400 Processor. The Screen is 5.1 inches with capacitive touchscreen and 1920 x 1080 resolution pixels. Samsung Galaxy S5 4G comes with 2GB RAM, 16GB internal storage and microSD card upto 128GB for external storage. Bluetooth v4.0 With A2DP, EDR, LE, microUSB v2.0, Wi-Fi 802.11 a/b/g/n/ac, Dual Band, Wi-Fi Direct, DLNA, Wi-Fi Hotspot, 3G via HSDPA 42.2 Mbps, HSUPA 5.76 Mbps, 4G via LTE Cat4 50 Mbps UL, 150 Mbps DL, GPS with With A-GPS Support and GLONASS, Beidou are available in phone. Lenovo Vibe Z2 Pro is a 4G Quad-core Phablet from Lenovo. The Device runs on Android OS v4.4.2 Kitkat and 2.5 GHz Quad Core Krait 400 Processor. The Screen is 6 inches with IPS LCD capacitive touchscreen and 1440 x 2560 resolution pixels. 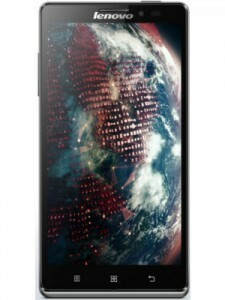 The Phablet has 16 MP rear and lack front camera. Lenovo Vibe Z2 Pro comes with 2GB RAM, 16/32GB internal storage and microSD card upto 32GB for external storage. Bluetooth v4.0 with A2DP, MicroUSB v2.0, Wifi 802.11 a/b/g/n/ac, 3G via HSDPA, 42 Mbps, HSUPA, 4G via LTE, Cat4, 50 Mbps UL, 150 Mbps DL, A-GPS Support and NFC option are available in phone. 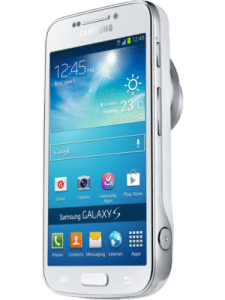 Samsung Galaxy K is a camera phone from Samsung. The device runs on Android OS v4.4.2 KitKat based OS and 1.3 GHz Quad Core Cortex-A7 + 1.7 GHz Dual Core Cortex-A5 Processor. The Screen is 4.8 inches Super AMOLED Capacitive Touchscreen with 1280 x 720 pixels resolution. The device comes with 20.7 MP rear camera and 2 MP front camera. The phone comes with 2GB RAM, 8GB internal storage and 64GB microSD slot. Bluetooth v4.0 with A2DP, microUSB v2.0, Wi-Fi 802.11 a/b/g/n, 3G via HSDPA, HSUPA, NFC. Samsung Galaxy S6 comes in 64GB storage variant model. The phone runs on Android v5.0.2 Lollipop and 2.1 GHz Octa Core Processor. The Screen is 5.1 inches capacitive touchscreen and the resolution is 2560 x 1440 pixels. 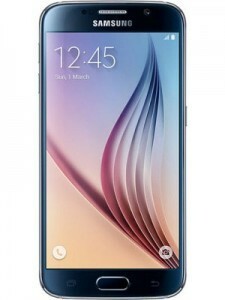 Samsung Galaxy S6 64GB comes with 16 MP rear camera and front camera is 5 MP. The phone is available with 3GB RAM, 64GB internal storage options. Bluetooth v4.0, microUSB v2.0, Wi-Fi 3G via HSDPA, HSUPA, 4G via LTE, NFC and GPS options are available in the Phone. This is the much we are willing to let out on the 11 best smartphones to bank your money on this 2016. Our list is going to be modified as other options showcases. Feel free to add your favorite high-end smartphone to grow the list and remember to share this page to your friends.